Our physiotherapists offer sports physiotherapy, spinal physiotherapy, pre-operative preparation & post-operative rehabilitation, manipulative therapy, pre- & post-natal physiotherapy, ultrasound-guided clinical Pilates for core stability and for women’s health issues. Our belief in a "one-on-one" 40-minute service with emphasis on active hands-on treatment allows us to perform thorough assessments and provide appropriate treatment. This is followed by full rehabilitation aimed at clients recovery and return to their chosen sport, in the shortest possible time. 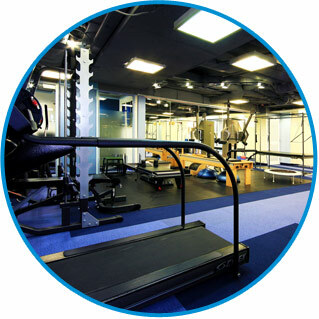 We offer a range of biomechanical assessments using computerised video technology, including gait and running assessments. Our physiotherapists work with clients to design a personalised programme to correct abnormal movement patterns, enhance overall athletic performance and / or ergonomic problems. sportsperformance physiotherapy offers multi-disciplinary allied health services including nutrition, and massage therapy. We also offer podiatry services including general chiropody, podiatry running assessment, gait analysis, custom orthotic prescription and children's foot conditions.